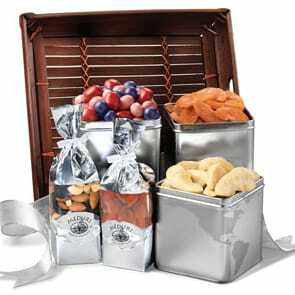 Uncommon Meduri treats presented on an uncommonly handsome reusable tray* create a distinctive gift. 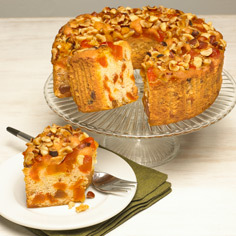 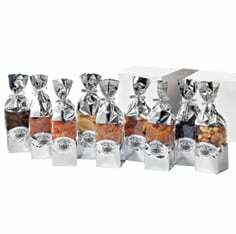 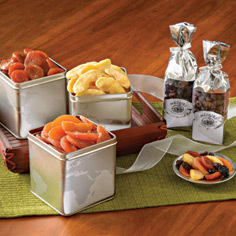 Our luscious, premium and preservative-free flavors fill reusable tins and mylar sampler packets. 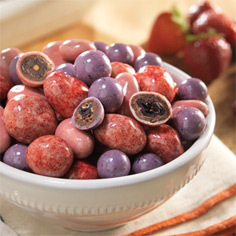 For even more fruit and chocolate gifts, take a moment to browse the entire selection at Meduri World Delights today.